How and when it befell, no one knows an inkling, nor a glimmer, ah but 'tis suspicioned that the Great Wizard, he be privy to the secret; or so the story goes. For to resolve the date of this happening, well tis even more difficult since the passage of time in the realm of Fae is quite different than that in the mortal world. Could it be ten or twenty years ago, maybe more, maybe a hundred? 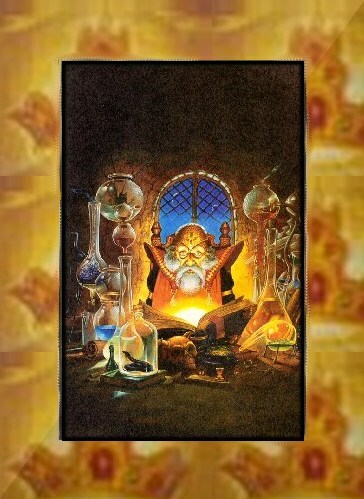 No one knows for sure, ah but 'tis suspicioned that the Great Wizard, he be privy to the secret; or so the story goes. Glyndel be what she is summoned by. Twas it the name presented to her by her mortal parents or by the Fae who stole her away? No one knows an inkling, nor a glimmer, ah but 'tis suspicioned that.... well, on with her story. It be said, by whom I do not imagine, that as a babe there was none more beauteous, nay none more delicate nor graceful. Her hair, twas said, twas the color of sun rays bleached within its own shining. Her eyes, her magical eyes, they be the color of alabaster, sometimes with shades of the emerald or the sapphire shining through. Oh, she was a true beauty, she was. Too fine, too much loveliness, too much of a temptation; stolen away from her mortal parents and brought, as a wee babe, into the realm of the Fae. Now nearly grown, me thinks, or nearly as grown as fae become, Glyndel has comprehended her true identity - that of a mortal. Oh, alas, poor Changeling, can it be that she is less mortal now and more of Fae? One cannot live amongst the Fae and not be metamorphosised in some manner. (Tis this how they came to call them Changelings?) Oh, the yarns and legends to be told of Changelings, are many. Glyndel, the beautiful Changeling. The Great Wizard. How shall we ever know? But, tis said that Glyndel is seeking attendance with the Great One, oh mighty wizard. And of her belonging... what will he say? How can one even attempt to return to mortal life after living amongst the fae for.... how many years, decades, centuries... how shall one ever know for sure? And what of the other Changeling? 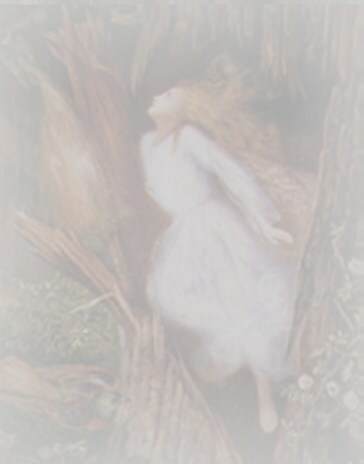 The one, the babe of the Fae that was also stolen and put in Glyndel's place, in her crib, as her mortal parents slept? Could it be....??? 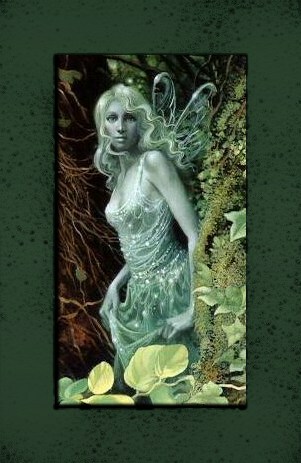 Could it be our beloved Wood Faerie, Enia Oak?" Only the Great Wizard holds the knowledge. Will he come to Ailfen Wood Hollow to give audience to Glyndel: to bestow upon her the real story? Will his eyes bespeak the evidence of which she is seeking? But, even still, can Glyndel ever go home again? Will He Come To Ailfen Wood Hollow? or sign my guestbook to let me know, so that I can be transported!